Right now, someone is training to hurt you. Want to learn how to stop them? Every day, you read a news story about innocent people being hurt and killed by terrorists or criminals. You pay thousands of dollars in taxes and and the government and police will not be able to protect you from emerging threats. There is not a national or local political plan to deal with terrorist insurgents and citizens who reject the rule of law. There is only one country in the world that has survived this challenge day in and day out, for nearly 70 years. 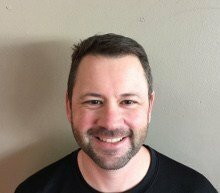 Hi, I'm Eric, the founder of Self-Defense Global. I want to share the most effective means of defending yourself I've discovered in over 30 years of training and teaching. Learn how David has consistently beaten Goliath and will continue to do so using Israeli training methods. 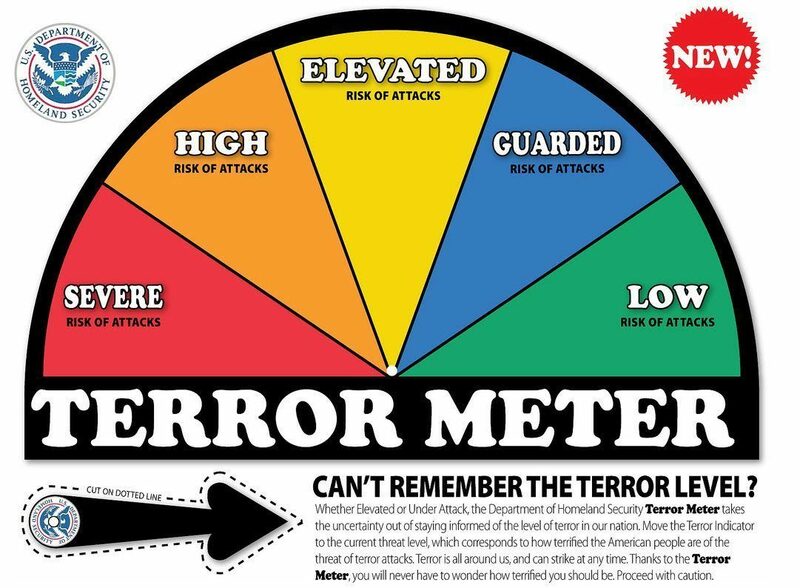 This is timely, because somewhere, someone we would call a terrorist is training to kill you. He has the motivation, and is completely committed to his cause. He has the resources, and he is preparing. The question is whether his plan is better than your plan. The Jihadists have been telling us for over 15 years what they plan to do, and there is no reason not to believe them. They say they want to kill us, and tend to tell the truth about these things. The second problem is a group of people living with us who don’t have the same ideas about life, property, and respect for the law. This problem goes beyond the muggings, burglaries, and rapes we have always had. Uniformed police officers are being ambushed and shot for wearing a the uniform they put on to protect us by enforcing laws. Not only is there a criminal element in our midst we have always tried to contain, but they are emboldened and at times, in open rebellion - more like insurgency when they see the opportunity. Civilians Encountering High-Risk Threats Has Become the "New Normal"
First, there must be a commonly-agreed public decision that everyone has an active role to play in these types of situations - rather than waiting for help. This might sound unrealistic, but a clear example of this happening was just after 9/11, on airplanes. Regardless of politics, religion, or lifestyle - everyone on every plane rapidly understood the correct behavior is to get directly involved if anyone tries to take over the airplane. Second, some type of basic training should be completed to increase your odds of surviving and saving others in such an encounter. Not traditional martial arts training, not years of mixed martial arts ​training, and not complicated systems with 500-plus moves to memorize. Regular civilians need the same type of hand-to-hand training that elite Special Forces and law enforcement groups get - relying on a few proven, basic techniques, building the right mindset - knowing in advance that there will never be enough time to practice. The physical self-defense needs of a SEAL Team 6 member and a soccer mom are exactly the same. Of course there is a difference in who each of these people might face, but the training methods for rapidly deciding, engaging, and dominating a threat to your life are exactly the same. The numbers still favor those who want freedom, democracy, and rule of law in Western countries, if the citizens get directly involved. The same training provided at the highest level of Special Forces counter-terror warfare should be made available to you. There is one place in the world that has consistently dealt with all three types of threats on a daily basis, for nearly seventy years - Israel. Every able-bodied man and woman in Israel must serve in the military where they receive basic instruction in Krav Maga - Hebrew for Contact Combat. Israeli counter-terrorist and security forces are regarded as the best in the world - and both the personnel and methods are in high demand worldwide. Civilian Krav Maga training has been available to the public in many places in the world for more than 20 years​. The training varies in quality and authenticity. What most people either don't know or mention is that the civilian and military branches of Krav Maga separated in 1968. The Israeli military has continued to refine the system with the input being from the field, rather than civilian training mat. There is a difference, as you'll soon learn. Most martial arts and self-defense programs only partially work and are disconnected from reality. Many instructors have never been in a real fight, let alone in life and death combat. How would they know what works? There have been hundreds of products sold offering solutions. Most fail to deliver, and have at best a "dotted-line" connection to military training. Most training programs require a set schedule, take a lot of time, require access to an instructor and facility, a class schedule that might not meet your personal schedule - and are very expensive. We can show you how you can control your training schedule and time, at a fraction of the investment you’d make in personal training or group classes. What can the "Average Person" really be expected to do? Many sources will tell you "Not Much." We know differently. The first person to encounter a terrorist or violent criminal in Israel is likely not a police officer or commando, but a pensioner working as a security guard for extra money. The “average person” will always be first contact and this is decisive in the outcome - in Israel, and everywhere else. Reactive self-defense will work - If someone does this, you do that, and so on - like some kind of computer program. Even the most trained fighters won't be able to respond to specific attacks, in real time, and shouldn't plan to try. Pain and injury are reliable for stopping a threat. Pain does has its uses, and it's not punitive or what you think. There is a science to this that even most martial artists and combat athletes don't know about. The goal is to win a hands-up fight after the violence starts. We will usually not be the best fighters, but will still win - preemptively when possible. We are better than our enemies, and the good guys win. The attacker has an objective, and a role that must be respected. We will give him this respect while defeating him. Special Forces and other elite groups spend long periods on hand-to-hand training. The truth is that very little training time is spent on these skills, and they still build and maintain skills rapidly. Keep reading to learn how. 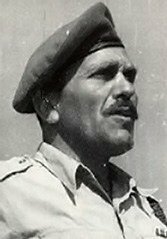 Krav Maga was founded by Imi Lichtenfeld, a man who brought a lifetime of combat experience and physical training to the persecuted people of Israel...and the entire world - "so that one may walk in peace." This is my story - a 30 year journey to find the answer to both effective self-defense, and personal empowerment. I was always small for my age, and never a good athlete. The good news is that I was placed into advanced academic programs, and have a kind of stubborn curiosity. In Junior High school, bullying got to be a problem. Due to my family situation, I first experienced violence and intimidation in the home. Both home and school presented constant confrontations - both psychological, and physical. Like lots of boys, I loved martial arts movies. The way Bruce Lee and Chuck Norris moved was amazing to me - and I doubted that they walked with their heads down. I set a goal - I'd start training as soon as I could get myself to Karate lessons. The one useful quality I DID have was being stubborn. If martial arts could help me end bullying and learn confidence, I'd continue. I competed at tournaments, wasn't the best, and wasn't the worst. I continued training Japanese and Korean martial arts through college, along with boxing. 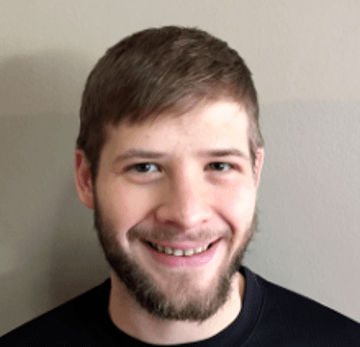 My problems with bullying went away, and I felt the confidence build that every committed martial arts student feels after several years of hard work in training. First - I was jumped in a swarming attack by more than four people outside a friend's house while leaving one night, leaving me unconscious and on a liquid diet for a few weeks. I can remember being surrounded, throwing some good punches, then the hands grabbing - bodies pressing in - hitting the ground, and the shoes coming down until everything went dark. I didn't know any of them, and don't know why this had to happen. Second - While working a part-time retail job in college, I was alone one night shortly before closing time. Two men came through the front door who didn't look quite right - sweating, obviously high. One stopped at the door, and the other one pulled out a butcher knife and charged me, swinging like nothing I'd ever seen in a martial arts class. I survived more due to fast footwork than any kind of intelligent martial arts defense, which is what anyone who has survived a knife attack will tell you. Here's what both of these events had in common. I didn't see any threatening indicators before they happened. I thought I had some martial arts skills, but I didn't know how to even identify a threat!​ I had some skills, but I lacked the knowledge to apply them. ​The swarming gang attack and the knife attack looked nothing like I'd ever experienced in a martial arts class. None of my techniques or skills were adequate. Everything happened too fast. Years of training were supposed to have prepared me to save my own life. The truth was this - bad luck got me into these situations, and a little bit of good luck at the end allowed me to survive. I had invested years of training and studying martial arts. I'd experienced a few regular fights over the years, but the two truly violent encounters left me wondering - what if I had bad luck a third time, and wasn't lucky on the back end? I was determined to find the very best system and teachers available. Changes were happening in the 1990's in the martial arts world - the cover of Black Belt magazine started showing men in tactical gear rather than martial arts uniforms - the beginning of "Reality Based Self Defense." 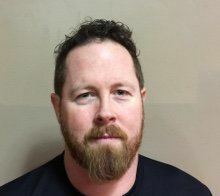 After years of traveling and attending weekend reality-based self-defense seminars and attaining black belts, I learned about an Israeli system named "Krav Maga." This is the system taught to the Israeli Military and looked practical, direct, and fast. I joined the largest North American Krav Maga organization, and spent most of my vacation time in the coming years training for weeks at a time attending grueling instructor certification courses. This training was an eye-opener - seeing students gain real capabilities in hours, rather than weeks or months. I became the lead Krav Maga instructor at one of the largest and most successful Krav Maga schools in the Midwest​. I earned a black belt in the system, which at the time usually took 10 years of effort and is not awarded for attendance or likability. Besides the Krav Maga training, I competed as a boxer, kickboxer, and in MMA. The reason I did so was to add to my experience as an instructor. I won some, lost some, and was never going to be the next "Ultimate Fighter." 1) Some of the common "realistic" techniques won't work as presented, against a realistic attack speed and distance. I knew this through testing and working with combat athletes who had skills but weren't "in" on the Krav Maga technique. 2) There were too many techniques being taught for basic self-defense, with more techniques and variations being added for "advanced" training and the sake of variety. 3) The inputs to the civilian system are coming from the cooperative civilian martial arts mat rather than the combative field​ where real violence must me engaged. The 2 Hour Per Week Problem - Most dedicated adult self-defense students train two hours per week. In these two hours, they are asked to learn potentially hundreds of techniques and movements. What are the chances of being able to remember this in a time of need? Too much time is wasted, and there is too much burden placed on the learner. Professionals who deal with violence compress training into hours or days, and focus on drilling proven fundamentals rather than a high number of techniques. Reality-based self-defense systems and Krav Maga have fallen into the same trap as other martial arts - more material added, politics, and the cooperative environment of the mat driving training. In the real violence in the field, a highly motivated individual is doing everything in his power to keep you from succeeding.​ All of the Krav Maga principles I learned were sound, but the implementation of them was not what it should be. I started my search for a Krav Maga instructor with real military experience, setting the goal to find the very best. There are hundreds of experienced Krav Maga instructors, but very few high level Special Forces veterans teach Krav Maga to civilians. 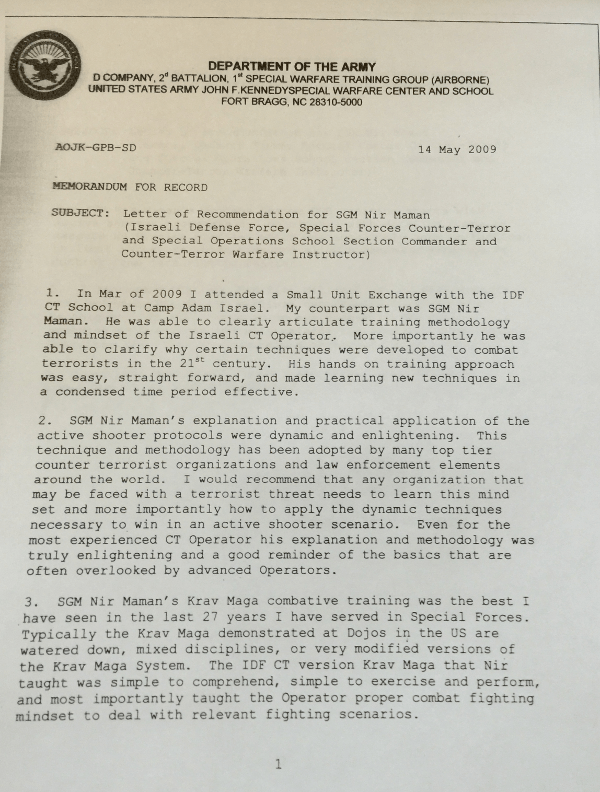 As Israeli training methods and Krav Maga have become more popular, a number of outright frauds came to market promoting themselves as being connected to Israeli Special Forces. These lies raised a powerful response from an actual Israeli Special Forces Krav Maga Instructor, one Sergeant Major Nir Maman. I noticed he was tireless in exposing fraud online and setting the record straight. Nir Maman began to offer some of the real Special Forces training to civilians who met certain qualifications. 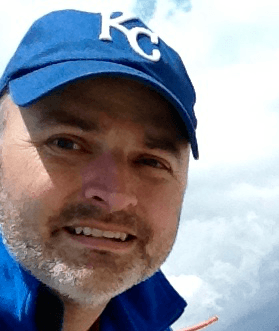 I contacted Nir, told my story, and invited him to teach a weekend seminar at my school several years ago - and created a HUGE amount of work for myself. The methods he shared included about 25% of the material I'd been taught before, but provided 400% of the capabilities. Everything in the system was tested and made sense. No fluff. No filler material. No variations for the sake of filling class time. Updates had been made to many techniques years ago that U.S.-based organizations had no way of knowing about. I continued my training with Nir, became one of his certified instructors, and want to share what I've learned with you. I was shown the perfect answer to the Two Hour per Week Problem - along with potentially being able to help the hundreds of good people who have approached me over the years but didn't have the weeks or months required at attend even a basic Krav Maga class. 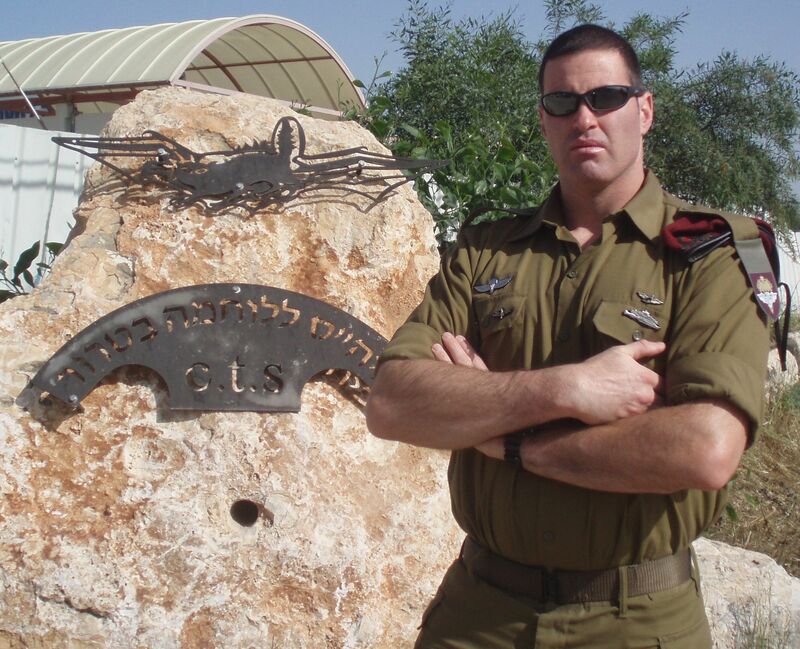 Nir is a veteran of the Israeli Special Forces and served as an Operational Team Leader on the Counter Terror Unit, and as a Section Commander and Lead Counter Terror Warfare and Krav Maga Instructor at the Israeli Special Forces Counter Terror School. He was in charge of training all the ISF Hostage Rescue Units as well as all the U.S. Special Operation Units sent to Israel before deploying to combat zones. There are three simple reasons that military Krav Maga training works, and the documented record in both training and combat bear this out. There is an image of a commando or grizzled, professional soldier that is popular in movies. In Israel, every man and woman must complete 2-3 years of military service. 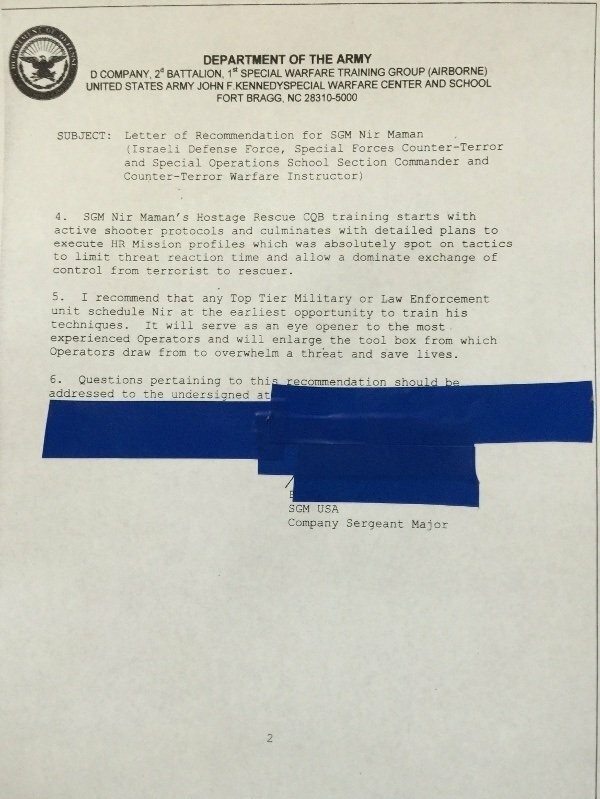 Special Forces are obligated to 4 years of service. Imagine an 18 year old high school senior, or a freshman in college. This is the face of most IDF (Israel Defense Forces) soldiers. Most militaries will spend millions of dollars in training and equipment for special forces operators. The Israeli military has 2-4 years of military time, including elite special forces, and must adopt the most effective, but brief training methods possible - to get soldiers in the field quickly, and keep them alive. Yes, there are highly-skilled and specialized units such as CT707, the elite anti-terror unit Nir served in. Yes, there is civilian police response - BUT, there is an expectation that the citizen-soldier will engage threats in order to minimize damage and casualties - due to the amount of violence that can be done before first responders can arrive. There is a place in the world where Krav Maga is practiced at the highest level. It isn't in a regular army unit, and not in an air-conditioned American fitness center. You won't find it on a map. 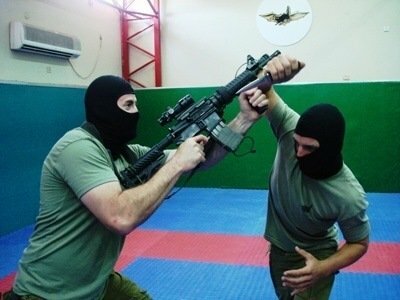 The Krav Maga training Israeli Special Forces recruits undergo is among the hardest and most grueling training they receive during their warrior certification process. Keep in mind that in Israel, Special Forces recruits come right out of selection in high school, unlike every other military in which elite Special Forces units recruit professional soldiers with five or more years of active-duty military experience. The IDF has very little time to train a 20 year-old Special Forces recruit to the point that he can survive any encounter he faces, under any circumstances. The Krav Maga taught in North American commercial martial arts schools will vary in quality and authenticity. 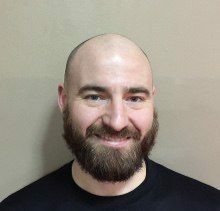 There are often competing interests with pure self-defense - including blending fitness training, adding curriculum for longer enrollment and retention, and adding techniques from sport combat systems. These components are not part of military Krav Maga. The focus of Special Forces Krav Maga is to arm the individual operator with necessary strategies and tactics to dominate and terminate a violent encounter in minimal time - using methods that can be learned, implemented, and maintained in a short period of time. The U.S and many other allied military and police forces have been sending units to Israel regularly to train and cross-train with Israeli units for many years. First, no other country in the world has faced such frequent terror attacks and successfully mitigated them. Second, the very existence of the country and survival of it's people depends on the ability to depend on engaging and preventing these attacks. In short, for nearly 70 years, the state of Israel has been living in Europe and North America's "New Normal" of mass attacks, Jihadist terror attacks, and criminal insurgency in the streets. 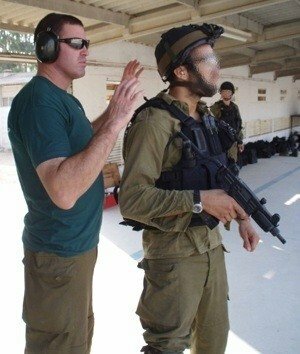 ​Since 2001, there has been a substantial increased demand from military and law enforcement groups in learning the most effective Israeli methods - which should be good news to everyone. But what about civilians? Where can you get the highest-level training? Where can you get the same training provided to U.S. Special Forces before deploying to Iraq or Afghanistan? 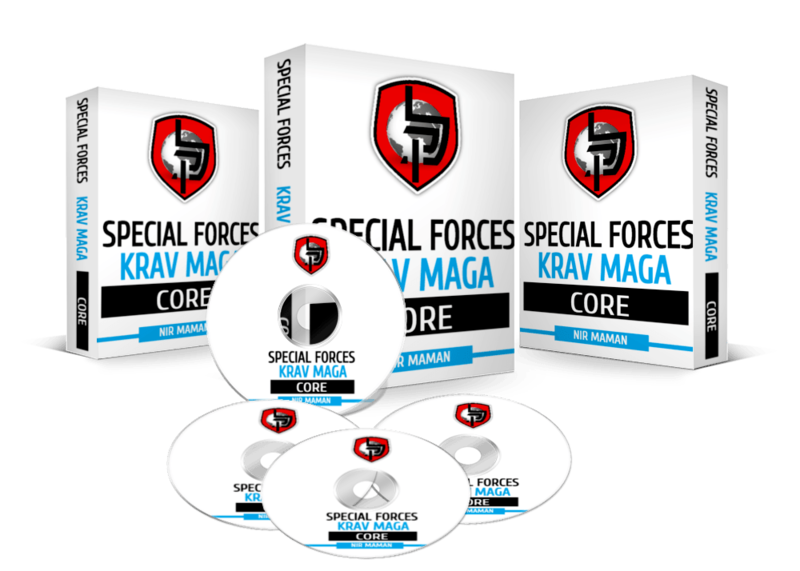 ​Special Forces Krav Maga Core now gives you access to the same training provided to elite military units and law enforcement. This exclusive video course provides the same experience provided in a half-day seminar, including detailed video instruction, course notes on every lesson, and training plans for practice. If you want to feel more prepared for a bad situation, if you want to be recognized for being much more knowledgeable about self-defense in conversation or practice than even well-trained people - and if you want to have access to knowledge directly from the source of modern self-defense and counter-terror warfare, then this program is for you. Universal Defensive Platforms: Designed to shut down any incoming attack and a method to practice safely at the realistic range most attacks start from. Dynamic Standing Grappling Techniques and Drills: Added to the system through research and close review of hand-to-hand combat encounters reported over the last 10 years of war - the first program to do so. 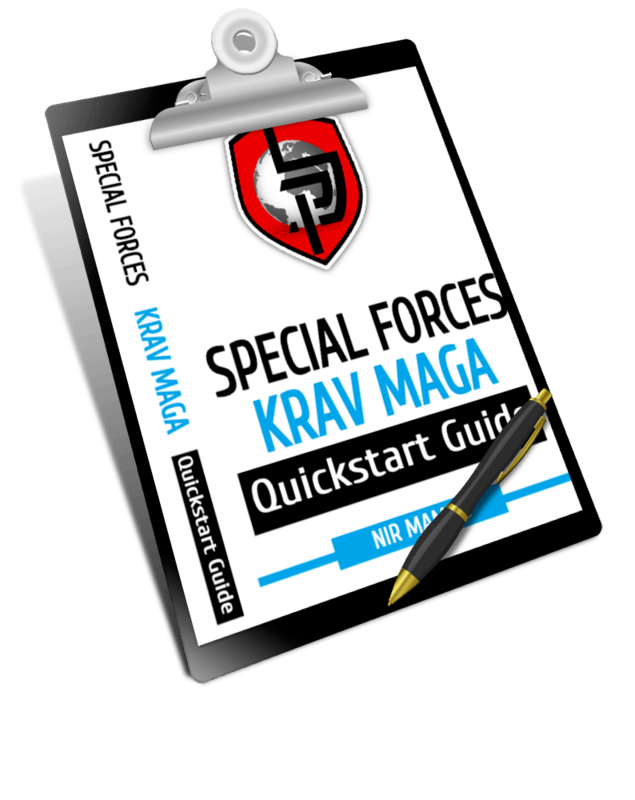 Free Updates: Perpetual access to the Special Forces Krav Maga Core membership site along with updates to the course. You will get new versions of the course when updated. Lesson plans for practice: Detailed plans for practice with a friend, covering the entire course in about 4 hours. EDC Personal Defense Tool: A product valued at $14.95, available exclusively online here - in limited quantities. 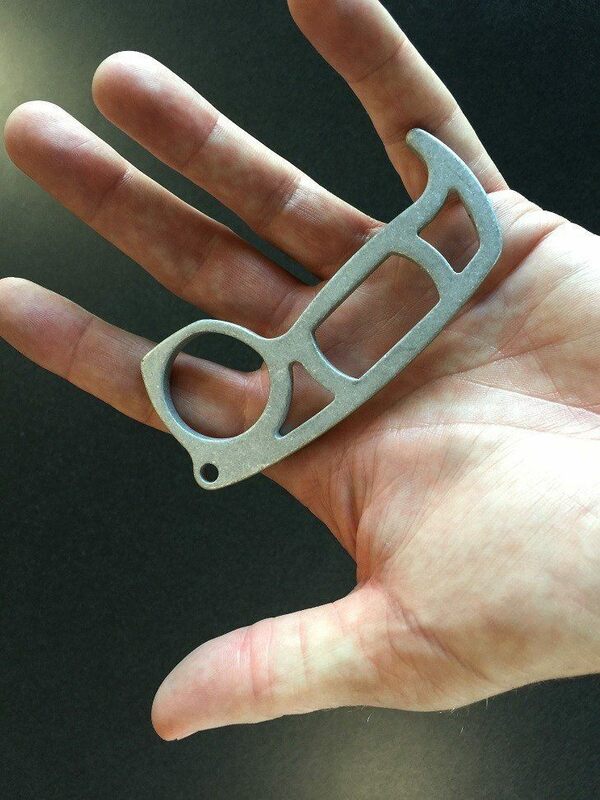 Designed collaboratively by a Navy SEAL and Krav Maga expert, this .5 oz device that is legal to carry can raise your striking power by 400% with minimal training. 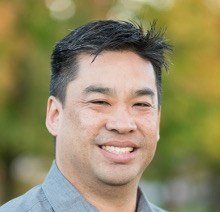 "His hands-on training approach was easy, straight forward, and made learning new techniques in a condensed time period effective." “This training has met and greatly exceeded my expectations. The training is focused and realistic, the instruction is stellar, and all of it is totally worth the time and money involved. I have so much more strength, confidence, and more ability to face real world situations than I did before I trained here. I highly recommend this program." 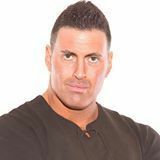 “I train and teach martial arts full-time, and have competed in MMA, kickboxing, and submission grappling. You can’t beat Krav Maga for learning self-defense quickly, but all programs are not the same. That's where the techniques of Krav Maga win the day. I began this program and immediately understood the strengths of this system. When it comes to the realistic and effective nature of the movements, along with the underlying philosophy, it's unmatched. 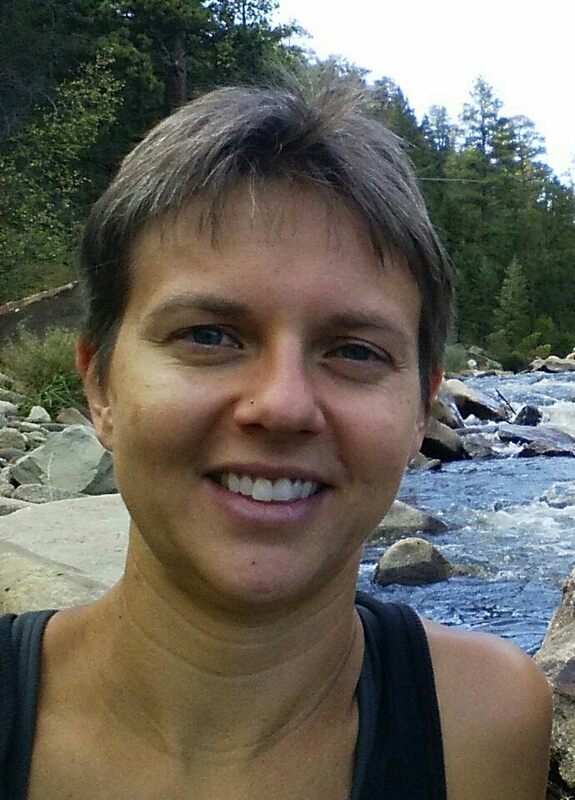 “This training has truly changed my life! I have been a police officer for 15 plus years and wish this was available 15 years ago! Krav Maga will teach how to defend yourself but it will also teach you confidence and peace. Nir and his senior instructors charge over $2000 per day for Krav Maga seminar instruction - and still are not able to meet the demand. This comes out to $250 per hour for training - and well worth it. 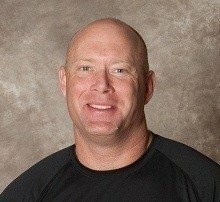 Many deserving groups get a respectful "no" to a request due to Nir's responsibilities as a law enforcement trainer and that fact he is still operational - with very limited time to teach civilians Krav Maga. We are releasing this course in order to get life-saving information out to as many good people as possible. As part of the launch of our course, we are offering special, limited-time pricing to early adopters. These methods are proven in the field. You will not find this material elsewhere. This course is provided by streaming video and digital downloads. No media is shipped to you. 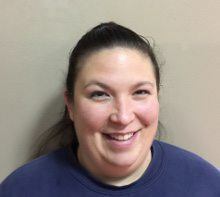 “One of the things I most value from this program is the flexibility built into the curriculum. There is literally something for everyone. When I started, I had zero experience in the world of Self-Defense. But by the end of my first lesson, I had dived right into the middle of it. One late night on a business trip, as I was walking alone, I remember distinctly thinking, how unsafe this walk could turn out to be. I was suddenly aware of people, groups of people, dark corners...details I was never keen on before. “I did not think I would ever enjoy Krav Maga. I only started because my son is in a martial arts program and I wanted to support him and know more. “This training is focused on preparing the individual to address real life potential threats as effectively as possible and provide the skill set and tools for those confrontations (so you can live peacefully). I have found it personally helpful in three main areas; increasing my awareness of surroundings and assuredness of my ability (skill set and tools) to safely navigate them, improve my confidence and level of peace, and strengthen my ability to continue to improve/learn, as well as instruct others to do the same." "This program has helped me with lifelong issues with my confidence and it's helped me to feel safer in strange places. I walk taller and am more outgoing with the knowledge that if push comes to shove, I won't be a victim. The web technology we are delivering this course with is fully mobile-responsive, and the videos, while HD, have been optimized for streaming over the web and on mobile devices. Each lesson, about 10 minutes long, is no more than a click away after logging in. There are less expensive and more expensive civilian courses available online. Most are old DVD videos that show a variety of techniques, with no over-arching system or method for terminating a violent encounter. This is the only course that includes the exact methods taught to Special Forces, along with recent updates in tactics taught to active-duty military. How will this work with my existing self-defense or Krav Maga training? "Styles" usually exit at the first sign of contact. 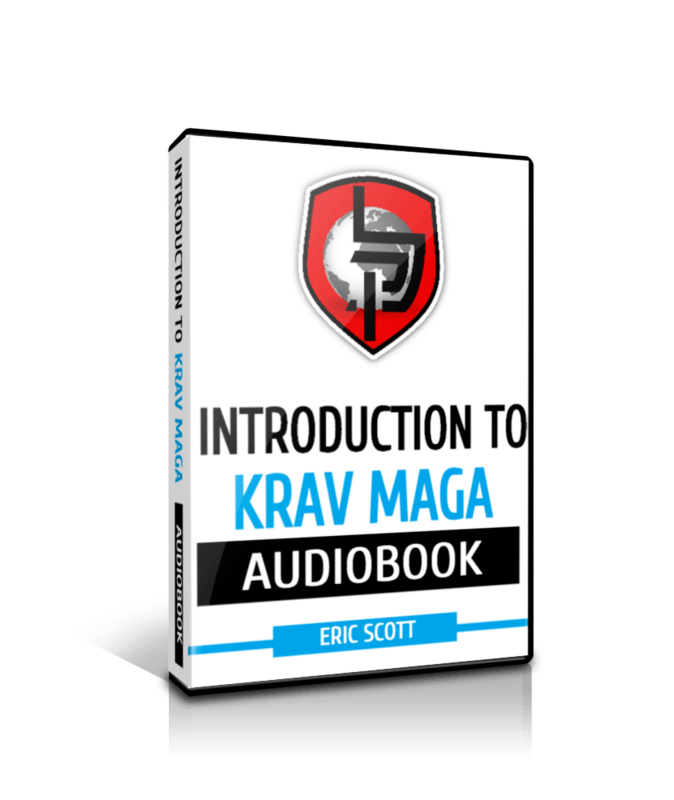 This training can serve as a great starting point for your Krav Maga training, or can supplement any current Krav Maga or self-defense training. The proper application of principles should override any consideration of technique. The primary goal of this course is to maximize your survival probability in the event of violence - without regard to loyalty to systems, instructors, or ​organizations. This is our primary focus, and we encourage you to adopt it as your own. This program was not designed to be a cardiovascular workout. Superior conditioning gives an edge in any self-defense situation, but anyone who can stand, walk, and use his arms can benefit from this training. What if I don't have a training partner or don't want to train with someone else? You will gain valuable knowledge from taking this course - knowledge that could save your life. Knowledge is one of the most important, and most consistently overlooked parts of self-defense training. In order to build actual skill in addition to knowledge, you need to practice. We recommend practicing with a friend who is about your size, and in similar physical condition. We also recommend avoiding any self-defense program that promises skills without practice. What about certification and rank? We cannot and will not offer any kind of rank or certification for completion of an online course, but will have options in 2016 for skill evaluation and in-person training events. Why Do I Need Krav Maga if I have a weapons permit and carry a gun? You need hand-to-hand skills because the public is generally surprised by the number of hand-to-hand combat encounters that our soldiers experience in the field. In our course, we reference the largest recent study stating that nearly 20% of returning soldiers from front-line operations reported a hand-to-hand encounter. A substantial number of these hand-to-hand encounters involved fighting for control and retention of the soldier's weapon. The facts show that for the soldier in the field, and the concealed-carry civilian - retention, and resolve will be tested. There are drawbacks to any product, and there is no perfect product or program for everyone. We designed our course to provide maximum benefit for a very reasonable investment of time and resources. One drawback to this program is that you won't find a secret, fancy move or magic bullet - all of the tools we teach are common in other self-defense systems. The difference is the strategy we employ in using them. This is not action movie fighting, but real-life training used​ by professionals in the field. Plus Special, Time-Sensitive Bonus Items If You Act Now! You are fully protected by our 100% Satisfaction-Guarantee. If you don't get the benefit we promise within 30 days, just let us know and we'll send you a prompt refund. In order to compensate you for your time, you may KEEP the EDC self-defense tool, which we know works and will help you stay safe for years to come. When do I get course access and any physical products after buying? 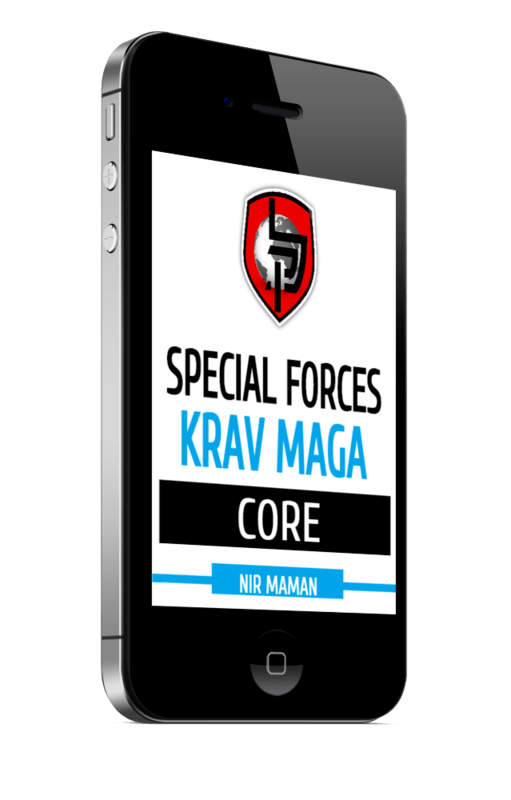 You will receive immediate access to Krav Maga Core with login information, will receive access to private forums within 1 day, and should receive physical products within 3 days of purchase. Does online self-defense training really work? There has been an online training resurgence, and you can learn just about anything you want to learn online now, including Krav Maga. There is no way to build real skills just by watching videos, but if you do the work and follow our plans, you will build real skills. We have additional coaching programs you’ll learn about you progress through the program. How do a ask for a refund if I want one? E-mail orders@selfdefenseglobal.com within 30 days to receive a refund if you are dissatisfied for any reason. We welcome any feedback, and it can take up to 48 hours for you to see a refund on your credit or debit account. Our full refund policy is available for review here. Can I buy this as a gift for someone else? Absolutely, and this course makes an excellent gift. During the checkout process, there is a checkbox for making this a gift. You will receive information by e-mail for how your gift can be redeemed by the recipient. Is additional online and in-person training available? Yes, additional online and in-person training will be available. The best way to learn more about availability and pricing is through joining our e-mail list, and members have access to training schedules updated on our Membership Site. Additional online and in-person training events are available for Krav Maga, as well as Israeli Tactical Shooting. How can I ask a question before getting started? We are available by e-mail at info@selfdefenseglobal.com, or by our toll-free customer service number at 877-234-2926. P.S. :: We've been overwhelmed by the initial response to this course. We sell out of the EDC self-defense tools every month, and won't be able to include all the bonus items for much longer. The price of the course will also be going up by $100 after our launch phase. Don't get us wrong - it's still worth it. We'd like to see you take advantage of the launch discount, which will also qualify you for Action Taker discounts down the line. More on that later. Remember - you are protected by an unconditional guarantee, offered by professionals who stand by our work and carefully guard our reputation. Yes, I want to start learning to be safer now!